Weeksville blossomed as one of the first free black communities in America, just a bit over a decade after New York State abolished slavery in 1827. The Brooklyn community’s name hails from its founder James Weeks, a stevedore and former slave, who bought a plot of land in the area in 1838. At its peak, it was home to 700 free black families. The building of the Brooklyn Bridge, introduction of the street grid system and urban sprawl all impacted the Weeksville community. As a result, its identity waned as it was slowly subsumed into the larger neighborhood of Crown Heights. 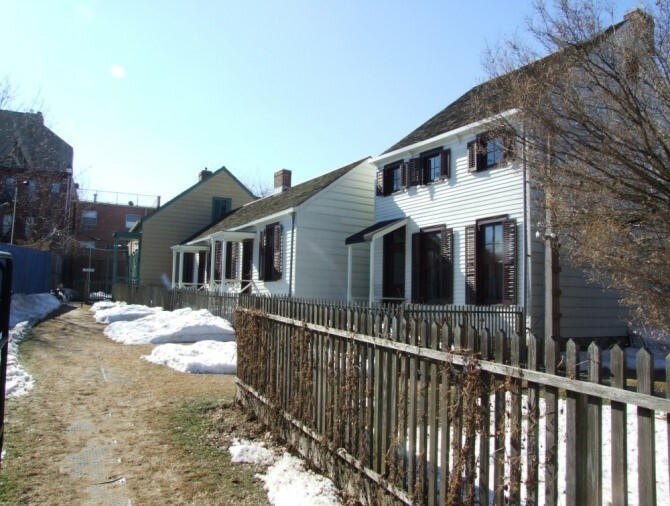 Discovered again in 1968 by a Pratt Institute workshop, the houses eventually were reopened to the public as the Weeksville Heritage Center, with each house showcasing a different era of Weeksville history.